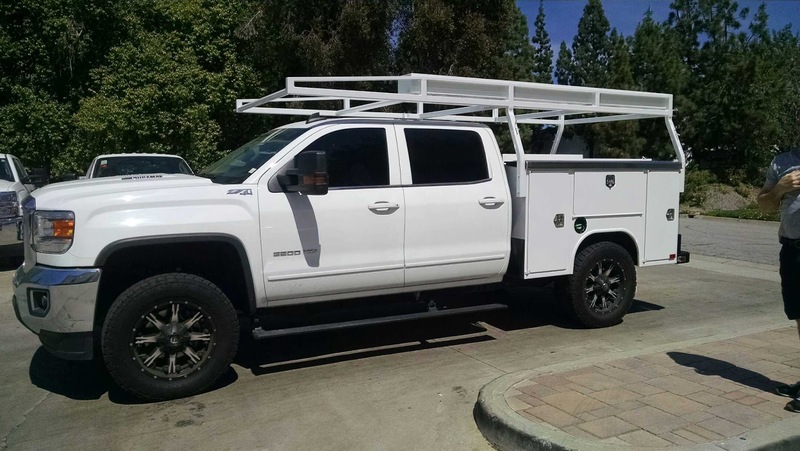 Here's a GM 2500HD Crew Cab that is upfitted for maximum load and storage capacity. The 6.5' short-bed is a 40" standard height Harbor service body with stainless steel open top lids. It has a 2-piece cargo bed enclosure, HD non-forklift loadable tapered leg rack with conduit box mounted to streetside of the rack. This unit is a GM 2500HD 4x4 with Duramax Diesel with aftermarket wheels.